D) Today. 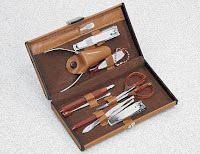 You can buy this fugly, antiquated looking "grooming kit" right now. I kid you not.